If your credit is excellent or very good, you can still find some credit card deals that are worth taking. Over the past many months, credit requirements have tightened as lenders reigned in their lending restrictions, preferring to do business with consumers who have the highest credit scores first. 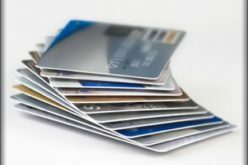 For the person who has average or poor credit, securing a good deal on a credit card might not be possible, requiring people in this position to pay an application fee, annual fee, settle for a high interest rate, and be subject to other restrictions. 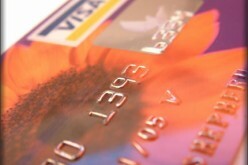 Clearly, if your credit isn’t good, then now isn’t the time to try to get a credit card. As for me, I’m still getting offers in the mail for new credit cards, but I’m not interested in taking the bite. However, I like to explore the various offers out there and am still finding some nice surprises, offers that I would seriously consider if I was looking for a new card. No annual fee — Some American Express cards charge a fee, but I won’t pay them. There are various versions of the American Express card that are free, though you may not accumulate points so easily or get other discounts. If you choose a fee card, perhaps do it through your work or personal business where either someone else will pay for the annual fee or you’ll be able to deduct the fee on your income taxes. 0% balance transfer — A number of these types of cards are still out there which I find to be surprising given the current economic problems we’re facing. What these cards offer is 0% APR on balance transfers and in some cases on purchases for up to 12 months — be careful as some charge transfer fees. 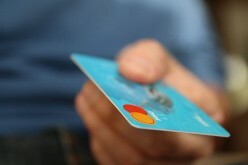 Rewards program — Most credit card offers include a points program which can yield valuable gifts or money when redeemed. For every dollar charged, get 1, 3, or even 5 points, something that can add up very quickly. Some issuers will give you a big lump sum of points, let’s say 5,000 points, the first time you use your card. Gift levels usually start at 2500-7500 points, meaning you can quickly redeem what you’ve earned for something free. Of course, if you use your card regularly and you run monthly balances, then your points are quickly canceled out by the interest you’ll pay on your cards. Low interest rates — Interest rates don’t matter to the person who pays their card off monthly. Therefore, don’t be scared away from a card offering a good rewards program, but a lousy interest rate. You’ll never pay a penny in interest as long as you pay off your card each time a bill is presented to you. Online access — These days, no card is worth getting if you can’t access your financial information from a secured site 24/7/365. With people traveling all over the world like grasshoppers, who can wait ’til they return home to view their statements? I like cards that allow me to view everything online, make a payment, receive notifications if something is amiss (like, who authorized a charge in Borneo when I’m standing in Boston’s Logan Airport?) Also, I want to be able to actually reach someone when I call about my statement or need to raise my credit line. For the person with excellent credit, they’re in the driver’s seat these days. Banks and other financial institutions make money by lending money out and are clamoring for your business. 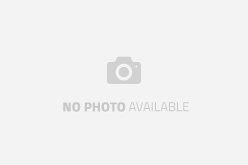 Compare offers, shop smart, and snag the best credit card deal that you can find. For everyone else, grab an offer only if it’ll benefit you and not some hungry card issuer. Adv. — How about a card you need that fits your financial objectives? 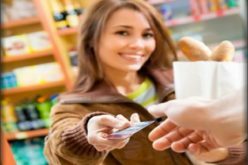 Whether you are a savvy consumer or first-time user, there is a credit card that will meet your buying-power needs. 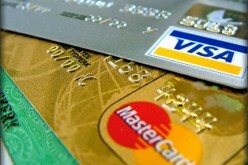 Please visit nBuy.com to conduct your smart credit card search.